The title of this article, well just the Ubuntu part, is a bit too specific, but I decided to use that to try to grab the Ubuntu communities attention and the fact that I’ll be showing this in Ubuntu. Also, I’m not writing this for anything other than Ubuntu Intrepid Ibex 8.10 at the moment. If you are using anything else and want to try to follow this then please keep that in mind. This guide actually came about because I recieved an email from a curious reader asking for tips or steps to do this. Since I didn’t have any idea myself, I turned to my trusty friend Google and did quite a bit of searching before I finally came across a solution that was spread over several pages. Now I’ve put it all together here. Basically, you obviously still have a background, but the icons will not appear there anymore. 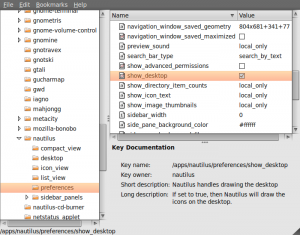 To view your desktop and icons you can always still use the Nautilus file browser and just navigate to your Desktop folder. You also lose the right click menu on the desktop, but the only time I ever use that is to change the background. After following these steps you won’t be changing your wallpaper that way anymore, but instead using the CompizConfig Settings Manager. Now you can either scroll down towards the bottom of the list and find an option labeled “Wallpaper” or just search for it in the filter/search box at the top left. 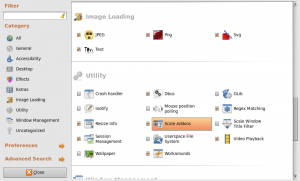 Enable this option and click on the title “Wallpaper” to open the preferences for this plugin. Now just click “New” and browse for the image files that you want to use (one by one). The order that you have them in the list will correspond to the order they are in the cube or in your Workspace Switcher panel applet. Add new images one by one. You’ll notice a tree list on the left. Navigate through the following levels. 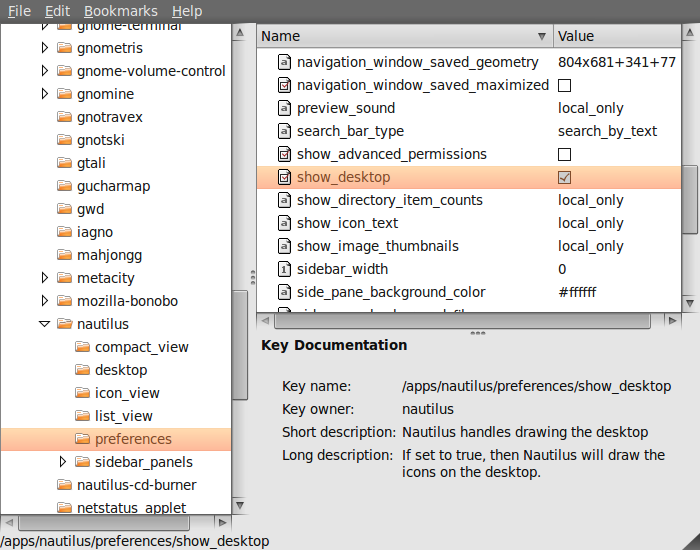 After selecting “preferences,” look through the list on the right a little more than half way through until you find an option labeled “show_desktop” and disable it. Now you should be finished with all of the whole setup process. The only thing left to do is to log out and log back in or simply restart X by pressing Ctrl+Alt+Backspace once. After logging back in, you should notice something like the following (depending on the artwork that you chose). Hopefully these help, but if I were you I would wait until this feature is implemented correctly. Also, I will update this page when this feature is indeed implemented correctly and isn’t really just a hack anymore. Thank you so much! Been looking everywhere for this guide. Thanks. Greatly appreciated. I had this all set up in 8.04 but was a little lost with 8.10 with the moving of the wallpaper add section from the cube to “wallpaper”. Big help. I couldn’t go back to a single image… it was driving me crazy. 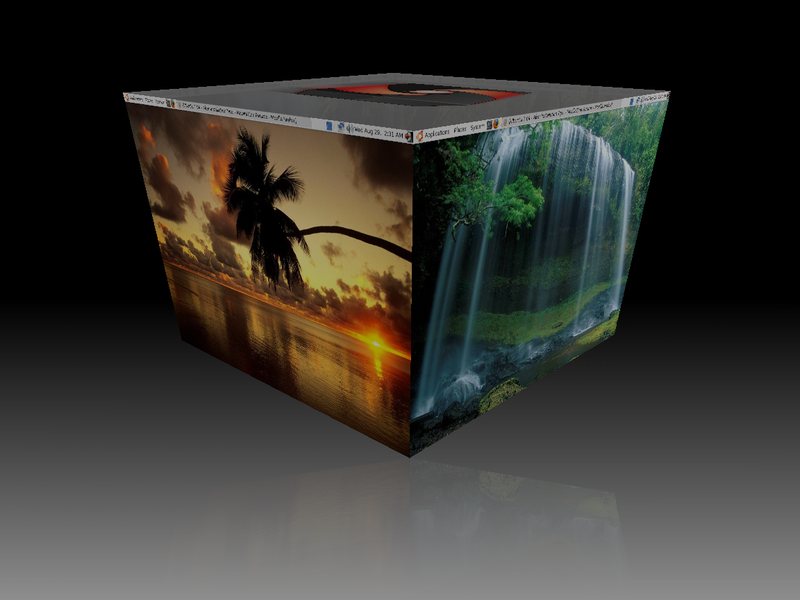 The only problem with this I’m facing is then when you first login, before compiz starts, it loads your wallpaper selected from Appearances. 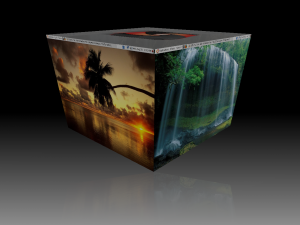 Only then will it’ll load the compiz wallpapers. This has the effect that if you use a transparent gnome-panel, the Appearances wallpaper will still be there behind the panel. The smoothness and perfectly clean appearance will most likely not be there until Gnome corrects the existed bug (mentioned in the post above). I’ll try to keep you all updated on the bug (when it’s fixed and pushed), but until then I planned on just helping everyone “mostly” achieve this effect with the hack above. It’s the best anyone is getting so far until Gnome is patched. Thanks for the tip. Is very handy. Regarding the bug report you have referred to, they closed the duplicate because it is a duplicate (however, the status of “resolved” is misleading). Your blog is helpful for linux newbs such as yours truly. so when i got to compizconfig i dont have the wallpaper setting? how do i get it? I have enabled Wallpaper, disabled Show Desktop, restarted, and yet the desktop is still there. Icons and everything. Duuuuuuuude! That was totally wicked!! TYSM for the hack. Luv’d it dahlink. Been looking all over to do this and finally it works. Bwa ha ha haaaaaaaa! Smashing work guvnor! Right mouse button is not working now! Did everything as ordered, see only white on desktop, help please? Same error as Nattydread, I guess I’m confused also as to the fill options in the CCSM dialog. I tried a different file, and it works fine. Converted my current file to the same format, varied file names, nothing. In a layman’s terms, it didn’t seem to “like” that file. In the end, copy/pasta the contents on the file into a new image and saving seem’d to work. A work-around, I guess. I actually want desktop icons and the right-click menu, so this solution just seems to add eye-candy at the expense of functionality. I find a better solution to be the application Wallpapoz, which can be set up so that when you change desktops, the wallpaper changes. 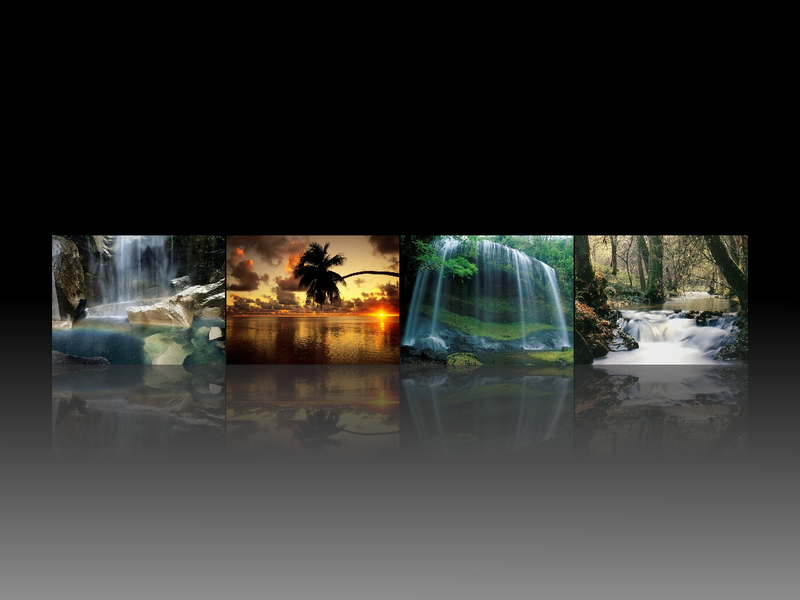 You can also set it up so that each desktop has a group of backgrounds that it cycles through. It’s a nifty application, and you lose no desktop functionality. Thanks for the excellent post! Everything I could find on google was at least 3 years old and incompatible with compositing. Hopefully gnome fixes their bug soon. after set up multiple desktop by Conpiz, then my conky is not show. plesae suggest how do i can get conky work with multiple desktop. Thanks for the awesome tip. 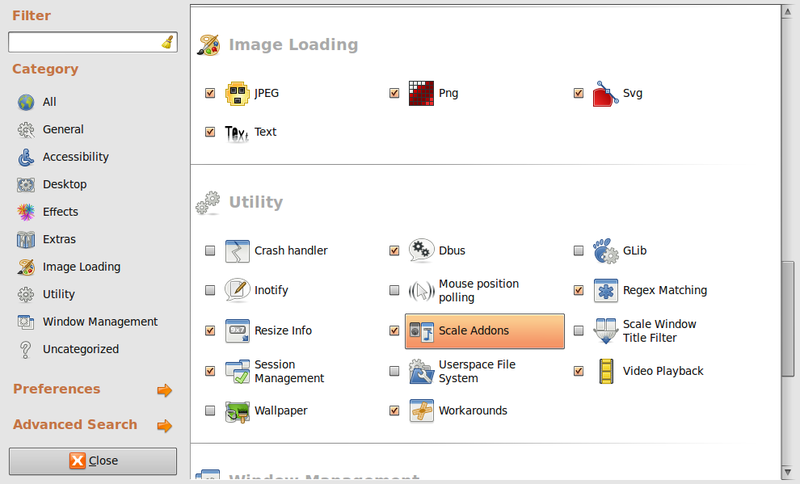 This worked in Ubuntu 9.04 but the desktop icons were disabled. It also removed the Desktop options Global Menu. Nice though. Thanks! Great article. I’ll wait until Gnome does it right, and I hope the wait is not too long. I will be following this post. Thiis is trolling. In vm you are not able to have mulltiple bgms. Tested anything. The desktop crashes.